Nick Klufas was elected to the District 3 seat of the Palm Coast City Council in November 2016. Council Member Klufas was born in Eldred, New York, and spent the first 16 years of his life in Sullivan County, two hours north of New York City. In 2006, as a teenager, he moved with his family to Palm Coast. His wife, Kayla, was born and raised in Palm Coast. His parents, Andrew and Barbara Klufas, and in-laws, Russell and Cindy Bryant, also reside in Palm Coast. 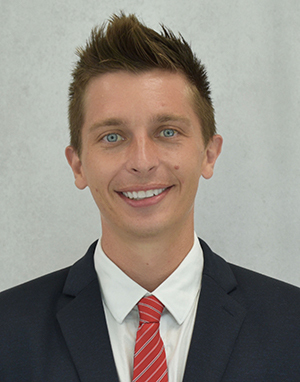 At age 28 at the time of the election, Council Member Klufas is the youngest-ever member of the Palm Coast City Council. He is a Senior Development Engineer at ACI, a real estate appraisal software company located in Palm Coast's Town Center. ACI is owned by First American Financial, which is a Fortune 500 company and a Forbes-rated Top 100 company to work for. He began programming at age 13 on a Commodore 64. Today he is proficient in several programming languages. He is a member of the Flagler Runners Group and participates in the majority of Palm Coast's charitable 5K/10K/15K runs. He is involved with youth athletic leagues and is a proponent of summer technology programs that empower our youth.